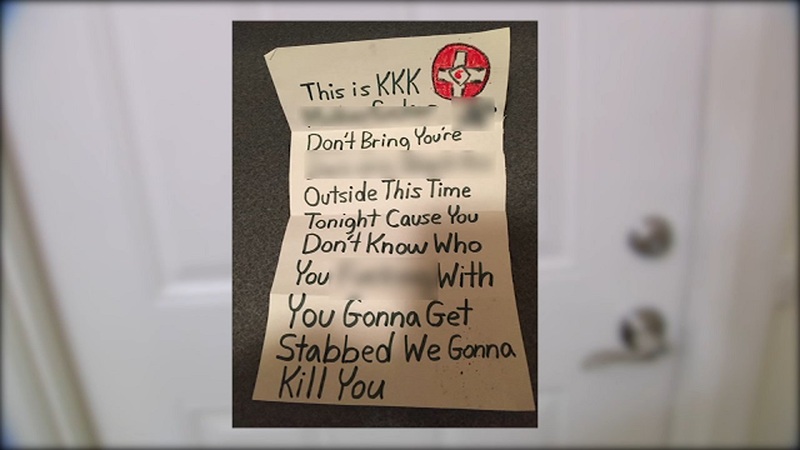 LEBANON, New Jersey (WABC) -- A mom in New Jersey says she is planning to move after receiving a racist letter that included a death threat. Brittany Thompson says a message was placed on her car outside her home in Lebanon Heights. The letter says it was written by the KKK and is riddled with profanity and hateful words. At the end, the writer threatens to stab her and kill her.